Division1 Elite is our flagship program that has been around for 10 years. Elite teams are offered at the 14-18U level and feature the highest level of training available and compete in regional and national tournaments. 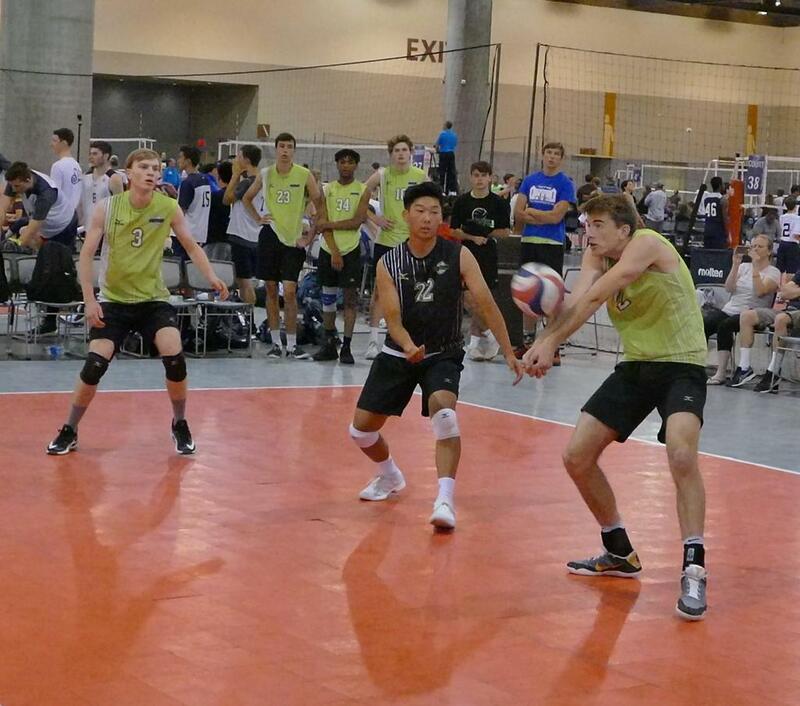 Athletes in our Elite program are dedicated to the sport of volleyball and have a variety of goals including mastering their skills, making their school team, playing college volleyball, and competing for the highest level of success. For High School athletes looking for a different level of commitment, we also offer a High School Regional Program. Middle School players (6-8 grade) can also check out our Fall Regional Season Program. Season Length: High School (15-18U) teams compete late September through February and then reconvene in June for Junior Nationals in July. Middle School (14U) teams will compete from late September through Nationals in July with short breaks throughout the season. Practice Length: 2-2.5 hours. Most practices will be two hours, but some will include 30 minute positional or conditioning training beforehand. Price: We believe in providing the most comprehensive and inclusive cost up front to our members - meaning no hidden fees! We believe in having a family atmosphere and want you to feel comfortable before making this big decision. Email our Director, Kris Berzins, at kris@division1vbc.com with questions. Master Coaching System: We implement a master coaching system to ensure every player in our gym is receiving the highest quality training possible. Our master coaches plan practice ahead of time and provide additional feedback to players and coaches from every team during practice. Elite Coaching Staff: Without a question, we have a list of the most accomplished coaches in club volleyball. Led by 2x NCAA National Champion Kris Berzins, we have several coaches that are either currently coaching collegiate volleyball or have done so in the past. Positional Training: For the first month of the season, we bring in additional specialized coaches to train our players by position. These will be bonus practices on top of the standard two practices per week and will allow players to improve quickly on the techniques necessary to excel at their position. Periodically throughout the season, players will also come in 30 minutes before practice to continue developing these position specific skills. Strength, Conditioning and Plyometrics: We are dedicated to "Training with a Purpose" and we know we can't accomplish this purpose without building the complete athlete. Being in volleyball shape is as important as knowing the skills of the game, and we don't take any part of the game for granted. Strength, conditioning and plyometrics will be built into our practices as well as focused on during pre-practice training sessions. Collegiate Connections: Many clubs will claim to provide recruiting advice or support during the recruitment process, but we have more first-hand experience than any club in the Chicago area. Because our staff includes coaches from every level of collegiate volleyball, we know the names and faces of college coaches across the country. And more importantly we know the best way to get their attention. Additional Offerings: Our members have access to the top trainers in the area. We know that many of our members are looking to receive additional training - over the course of the year we offer private/group lessons, sand volleyball, positional and all skills camps, recruiting seminars and much more. We know what it takes to succeed and make sure our athletes have the tools necessary to be the Division 1 version of themselves. Professional Organization: We employ two full-time Directors, Derek Jensen, and Director of Boys Volleyball, Kris Berzins, in order to provide the most comprehensive club experience possible. We are constantly praised by our members for our communication and attention to detail. Family Atmosphere: We don't just say it, we live it. As a family company, we hold our values very close and treat every player's family as if they are our own. We know club sports aren't just a part of the athletes life, they involve all members of the family - and we work to provide an open, comfortable and rewarding club experience. ©2019 D1 Volleyball Club / SportsEngine. All Rights Reserved.